The grand old man of Afghan jihad, Jalaluddin Haqqani, died on September 3, 2018. The Afghan Taliban who announced his death, due to old age and poor health, said he died inside Afghanistan. The world outside may not believe it. He could have died hidden somewhere in North Waziristan in Pakistan’s Tribal Areas, according to some. His contribution to violence in Afghanistan was his Haqqani Network, run by his sons, all declared terrorists by the United States, except Jalaluddin himself. He was among the Pashtun darlings of the US when he fought the Soviets, but after 9/11 he was the most feared enemy. He was charismatic and his Network was revered because it embodied the deep combination of religiosity and violence Muslims can’t resist. He took the name Haqqani from the seminary in Peshawar, Madrassa Haqqania, where he did so well with his Arabic that he started speaking colloquial Arabic fluently and got close to the Arabs doing jihad with American and Saudi money. One of his sons finally married into the ruling clans of the United Aran Emirates. (Anas Haqqani is from an Arab second wife of Jalaluddin.) He got close to Osama bin Laden and facilitated his various clandestine residences in Pakistan. One of his “handlers”, the chief of Pakistan’s Inter-Services Intelligence (ISI) General Hamid Gul, was slavish in his allegiance to him. In Asharq Al-Awsat interview, Gul said that he sent his two sons to jihad against the Soviet forces and they fought alongside Jalaluddin Haqqani’s men. Gul asserted in what can be called key to understanding the deeply conflicted mind of the Pakistan army’s officer class: “I am a retired official but the al Qaeda Afghan elements — Abdul Rasul Sayyaf, Karzai, and others — are against Pakistan, but they are my friends”. The 2007 Lal Masjid operation by the Pakistan army under General Pervez Musharraf was provoked by clear evidence that the mosque had become a gathering point of al Qaeda and Taliban terrorists. Its power over Islamabad was palpable and was replacing the power of the state, choosing to attack and punish people it considered “sinful”. The most powerful religious leaders of Pakistan had stood behind its vigilante terror. Some day, Pakistan will understand that Lal Masjid was the underside of Pakistan’s Taliban policy of “strategic depth”. Then in 2009, the Haqqani Network began to be linked to Pakistan more disturbingly. The US intelligence agencies “apparently” intercepted messages in which Pakistani army chief General Kayani referred to Afghan militant commander Jalaluddin Haqqani as a “strategic asset” operating in the border areas between Khost province in Afghanistan and North Waziristan agency of Pakistan. Serious “misunderstanding” between Pakistan and the US occurred when one hideout of Osama bin Laden was understood by the latter to be a Haqqani-Pakistan project: The Bin Laden camp targeted by US cruise missiles in August 1998 on the border between Afghanistan and Pakistan, was “built by Pakistani contractors, funded by Pakistan’s ISI Directorate and protected under the patronage of a local and influential Jadran tribal leader, Jalaluddin Haqqani”. 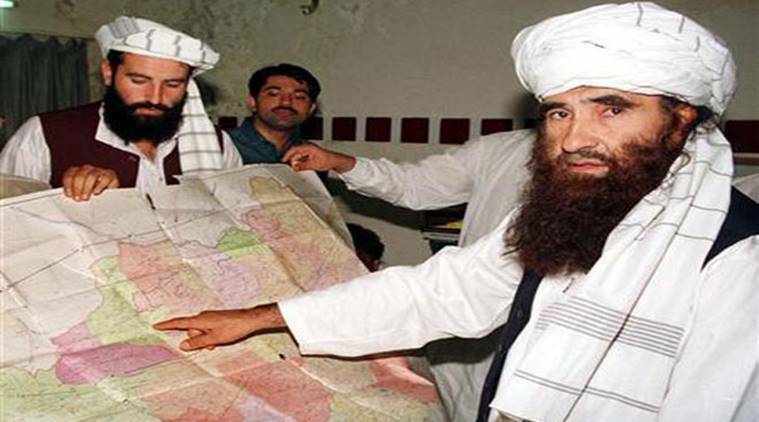 In February 2016, US drones killed five Haqqani Network terrorists likewise in Hangu taking time off from their depredations in Khost, Paktika and Logar provinces in Afghanistan in addition to the capital, Kabul. In 2013, the drones killed a commander of the Network again in Hangu after Pakistan had arrested and released him in 2010 along with other senior members of the infamous Quetta Shura of the Afghan Taliban. Hangu, it develops, is a mustering point of the Network considered the real mover and shaker of the Afghan Taliban that now controls more than half of the Afghan provinces.